This resource outlines the website costs using a website builder, starting a business, a small business lead generation, an e-commerce and a custom built website. A website cannot be classified as a cost; it is an investment. Like property or fine wine, if chosen or built wisely your investment will reap a return. There are hundreds of website builders that enable you to build a website yourself. But you have to know design, html and css in order to create a website that will communicate your brand, products and services. I have outlined some of the key DIY website builders, their core features and monthly pricing. *WordPress CMS is free but you will require website hosting; I pay around £12 per month. Let’s say you are starting a new accountancy, roofing or recruitment business. You could take 40 to 100 hours to learn how to use one of these website builders, create website content, do on page optimisation and set up email and connect your domain to the web host. Alternatively, you could be billing 3 clients x £3000 in fees during those hours. That’s £9000 in lost revenue because you focused your time on non core skills. The alternative would be to hire a web professional with business and marketing experience to design and build your website. I recently designed and created my website using WordPress. This is an outline of the website costs, time and process involved. 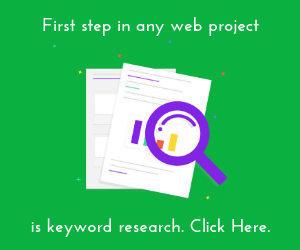 Even though I already had an existing website, I still did keyword research to identify what people were searching for so I could potentially earn more website traffic. My website is classified as a lead generation website. This graph shows there are around 25 billion clicks to website each month in the USA. Research can identify which of those searches are relevant for your business. The website can then be designed around the needs of those searching. I paid my web designer to create a crisper and more up to date version of my company name. I made the decision to choose WordPress not out of choice but necessity; Business Catalyst is closing down in 2021. I chose a minimalist web design that the priority is useful page content instead of design. I was able to demo the WordPress theme in a 7 day trial. I tested the layouts for the homepage design, service pages, blog posts, about and contact pages. Most WordPress themes let you customise colours, fonts, layouts, navigation, header and the footer. For the WordPress theme I chose it took me around 10 hours of time until I was happy with the web design and layouts. The WordPress content management system is free of charge and enables you to add new web pages and blog posts. WordPress is open source, no cost, but it does cost you time or development hours to update plugins or the core WordPress engine. To get started you really should install the following free plugins. Once you know what people are looking for, then you need to create pages of content to serve Google search queries. You need to tell potential customers about your services and/or provide useful articles. Content takes time and money to write, edit and produce. I research and write my own website content. This page is the second version and at over 4300 words has taken me over 2 days of writing and research. However for most clients, after I done the research, I will create an outline of the content they require and hire a specialist copywriter. I purchased my domain names from 123-reg.co.uk but you can use godaddy.com. Make sure you set automatic annual renewals so you don’t lose your domain in the future. Hosting is where you rent a place to put your web pages and files. For WordPress, I use and recommend Godaddy’s Managing Hosting. Godaddy will update your website with the latest version of WordPress, tell you to update plugins and they provide live chat and telephone support. In addition, you can back up your website and have production and staging version. Other web agencies like me are using FlyWheel for managed WordPress hosting. Whilst optional, I would recommend you purchase an SSL certificate. SSL signals to website users that your website can be trusted and it’s a small Google ranking factor. These email hosting accounts typically cost around £35 per year per email account. When you create a web form to capture enquiries on your website, you can use Ninja Forms to create and process the enquiry. Then you can send the details of the enquiry form to an email marketing system such as MailChimp or Drip for future email marketing. MailChimp is free for the first 2000 users and Drip is free for the first 100 users; thereafter there is a monthly cost for both services. As a brand new website you need to register your website with industry directories and business citation sources. Citations are signals of trust that Google look for when indexing your website. You can pay the costs for citation submission to BrightLocal for around £3 per submission. I have full step by step guide on free backlinks and paid for links your new website needs. And I would also recommend setting up a Google My Business account to help your website be discovered on local search results and map results. Google My Business also allows you to promote offers to those searching for you locally and run local paid advertising. You will need high quality and original photography of your staff, office, products, services and relevant branded material to use on your website and on social media networks. Professional photographers are expensive but they are worth the investment. Make sure you they supply you with original high resolution photographs and you have full rights to all image they take. Email Marketing £10 p/m with MailChimp. £83 p/m with Drip. The average small business invests on average £27,600 per year in an employee’s salary . In return, the average small business generates £118,000 in annual revenue per employee. If you consider your website as an online sales person, shouldn’t you expect similar costs and returned revenue ? There are 5.7 million small businesses in the UK; with under 250 and over 10 employees. If your website isn’t generating you revenue through leads or sales or you can’t measure the return on your website cost, it’s time to re think. Your goal will be to increase your business turnover using your website and online channels. Website costs will be significantly higher as your needs become greater. You will have a larger website team; probably consisting of a marketing manager, web designer, web developer, pay per click, SEO and content executive. 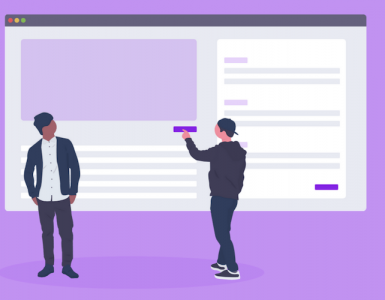 Each of your web team will require investment in tools, training and even outside agency support. Before you look at website costs you will want to analysis your traffic, leads and sales from a multi channel perspective. As you scale up your business you’ll look to improve every aspect of website. The best way of achieving this is by investing in research and analytical tools your competitors will likely use. Ahrefs – for keyword research, search volume, click volume, site audits, position ranking and backlink analysis. Analytics – for measuring traffic and conversions. Hotjar – for usability research and web form analysis. A/B testing software – to split test and improve your website. You will have to invest in online advertising and search engine optimisation if you want to make your website contribute to your business growth. In order to deliver online advertising there will be associated web software costs. Landing Pages for Ads eg: LeadPages, Unbounce or Click Funnels. As you begin to advertise and increase your organic traffic you will undoubtedly generate more enquiries or sales. Therefore you will have CRM costs. A CRM is a contact database to enable you and your sales team to manage prospects and customers. If you are in a specific industry such as recruitment you will have costs associated with a candidate application system such as Bullhorn. If you are a hotel you will have a CRM system specific to your industry. You will incur costs to connect your website with your CRM from your web developers and the suppliers. More customers and more prospects means you send more emails to educate, inform and sell. Email Marketing software providers tend to offer volume discounts depending on the number of emails on your database or the number of emails you send each more. One golf company I know have 450,000 users on their database and they spend £650 a month with their email provider. Whilst WordPress may be the most popular CMS as a business your needs may be beyond it’s functionality. Our agency is currently using Adobe Business Catalyst to fulfil the needs of the small business owners. This platform will close in 3 years time and we shall be advocating a similar platform. Many small business website are built on Umbraco for instance; the monthly licence is £470 a month. When you aim to sell your products online you are going to need to identify the cost of designing and building an e-commerce store. Without a doubt the most popular e-commerce platform is Shopify; which is my platform of choice. The website costs I will outline here are based on previous e-commerce projects I have worked on. Before seeking out the costs involved in an e-commerce website, there are some pre-requisites you need to be aware of. The product names, codes, descriptions, prices. The supplier names, codes, descriptions, prices. Where you are going to deliver to and which delivery service. What your shipping options and costs are. How you will accept payments from customers eg: Stripe, Sage Pay, PayPal. How you will fulfill orders. Have staff to manage customer returns, deliveries and complaints. A friend of a friend designed a range of ladies products. She went ahead and tried to design a website by herself; presumably to save costs. One year later the website still gets no traffic from Google or sales because she did not research her market. Had she invested in research she would have know how many people were searching and clicking on her competitors pages in google. Then she could have named and described her products and pages to match the search queries and be found. I estimated she’s lost over £50,000 in revenue for not investing in research and discovery costs. By researching your competitors you can get an estimate of their website traffic and the size of the addressable market. You can discover if the market is large enough to be profitable and weak enough for you to compete in. When it comes to selling products online, pretty pictures sell. People need to trust you before they buy from you so your logo design and web design will influence their behaviour. Will need to invest time and cost into the shoppers’ journey from home page, product categories, product page, basket, and checkout. It’s the job of the website and web designer to make it easier for shoppers to find and buy your products. I typically factor in design costs for each of their steps in both desktop and mobile devices before proceeding to any web development work. MailChimp for orders and future email marketing. Different companies work with different suppliers and therefore the costs will vary from project to project. The home page typically has a slider to showcase featured products. The home page area will be content managed so the products, images and links can be changed. The home page will have a top navigation menu with links to key product categories and footer navigation to necessary pages and company information. These menu item links can be changed or re-ordered in the content management system. Products will be grouped into categories or collections and the list of product categories will be displayed in the shop. Website owners will be able to re-order and change these products in the content management system. Product pages are driven from the product catalogue and include information about each product. Product information and descriptions professionally written. There is time and costs involved in customisation and adding all these elements. The basket in an e-commerce store will show the product image, price, quantity ordered, remove the product, total price, ability to add promotional codes and select a delivery option. The basket will display the total price and a clear cart button, continue browsing and proceed to checkout button. The shopper can usually edit the product quantity, continue shopping and add more products or remove the order from their basket. The checkout will include fields such as name, email, username, a password, phone, billing address and shipping address. There will be a tick box if shipping is the same as billing address and an area where user enters card type and card details. The checkout page is usually hosted on PCI Level 1 Compliant secure servers with a secure certificate to protect the users credit details. This page will display an order success or failure message. An e-commerce system will send a successful order confirmation email to you, staff and the customer. The customer and order details are stored on the CMS (back of website) and sent to Stripe or the payment processor you set up. After the customer is notified of the order by a system email with order details, the order details are added to the CMS (back of website) system. 3. Goods shipped including tracking number details, if required. Some e-commerce websites have customer account areas. This is usually an optional extra cost for those investing in e-commerce. When the user registers, we capture a username and password that gives them access to an area containing their details, order history and ability to update details. The login is a simple form with username and password and a forget password link. their account, when logged; and remove the favourite. Your business will be required to add a terms, delivery and returns policy page to the website in order for you to accept payments online. You should seek legal advice on these policies; these additional website costs may safeguard your business. Also, with the recent introduction of GDPR you may need to take legal counsel regarding how you and your e-commerce solution process and manage user data and privacy. These are extra costs and work that you will incur so your business is in alignment with consumer legislation. We highly recommend you publish website content on a regular basis. Not only is this good for search engines but this can be fed into social channels such as Facebook where your target market can be reached. Recently, for a fashion e-commerce store, we asked the client to pay for a look book plugin so that they could show off the latest design and style and prompt user interest and purchases. Most e-commerce websites are typically integrated with Stripe and PayPal. If you don’t want to use Stripe, you need to purchase an Internet merchant account for each currency that will costs around £100. Then you need to apply online at Sagepay.com with your merchant account number. The cost of SagePay is £20 a month. Standard credit and debit card fees apply. SagePay don’t charge until you get over 1000 transactions a month. To integrate other currencies with your e-commerce store requires significantly more costs in terms of discovery and web integration work. Shopify have built in integrations with most delivery companies but you may have specific requirements eg: if you deliver food for example. Take time and invest in payment testing; ensuring test order go into your bank account after the Shopify settlement period. For an industrial e-commerce project we charged the client for 3 days of photography. These images were required for the products they sold. For e-commerce fashion photography costs can be substantial. A small fashion retailer will shoot around 30 products/outfits per day. A professional photographer at £300 a day. A model at £500 a day. An in house stylist and product merchandiser. Then ad hoc costs such as travel, location fees for off site photography. I have built many bespoke websites for companies in the travel, home improvement, oil and gas, finance, renewables and sports industry. Each company had website needs that did not exist within the functionality of a website builder or pre designed theme. The following is an outline of the costs and work involved in re-designing and creating a completely bespoke website. We started with a blank sheet of paper, so to speak. I did website consulting, mocked up designs based on wireframes, wrote and build a bespoke recruitment application system, CRM, email marketing systems and web apps to manage content. There were over 300 man hours of consultation, discovery, web design and coding involved. A web project of this nature is more than just designing a website. A bespoke website it’s about making improvements in usability, website traffic and conversion that ultimately lead to new clients, more enquiries and additional billings. As a business grows so does its needs, requirements, communication and web resourcing. In turn, things take more time to scope, design, development and implement. 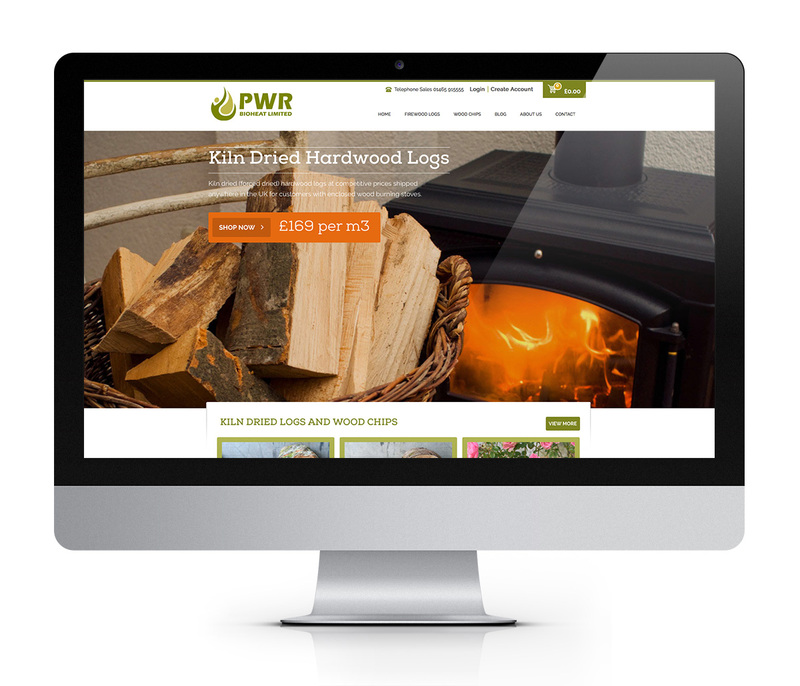 When considering the costs of a bespoke website do so with your business in mind. You are not simply creating design and code to make your look prettier; we want to you to get a return on your web investment. I always incorporate keyword research when costing out bespoke website projects. 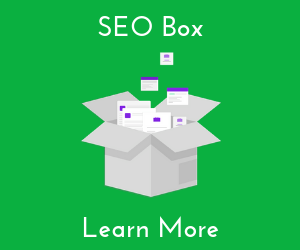 By identifying search and click volumes I can propose new pages and content opportunities to help earn the client website traffic. For this particular website project the client needed to attract one new client per month for them to return on their website investment. Those companies who invested in a bespoke website generally have some analytical history. Web forms on a mobile device tend to be too long and fairly difficult on corporate websites and web form usability must be incorporated in the design process. Completing a long, complex form affects the conversion rates; the more people who register the better. The cost of investing time and money in web forms and conversion can greatly improve the return on web investment. I still prefer to use old school wireframes to map out the website structure, navigation and layout of pages before a web designer is commissioned. Here’s an example of wireframes from a recent website I designed and built for a travel company. We cost out and design an agreed number of new pages in a front end tool called Webflow. Then add the cost for designing a couple of layouts to be used for all the existing and additional static pages. For a recruitment website we would design the key pages in the customer journey. As we wrap up the designs and seek client sign off and approval, we then test the site speed. Then we write the front end back end functionality for the back end development team to integrate into the content management system. Once the website functionality is signed off we commence to coding and development. 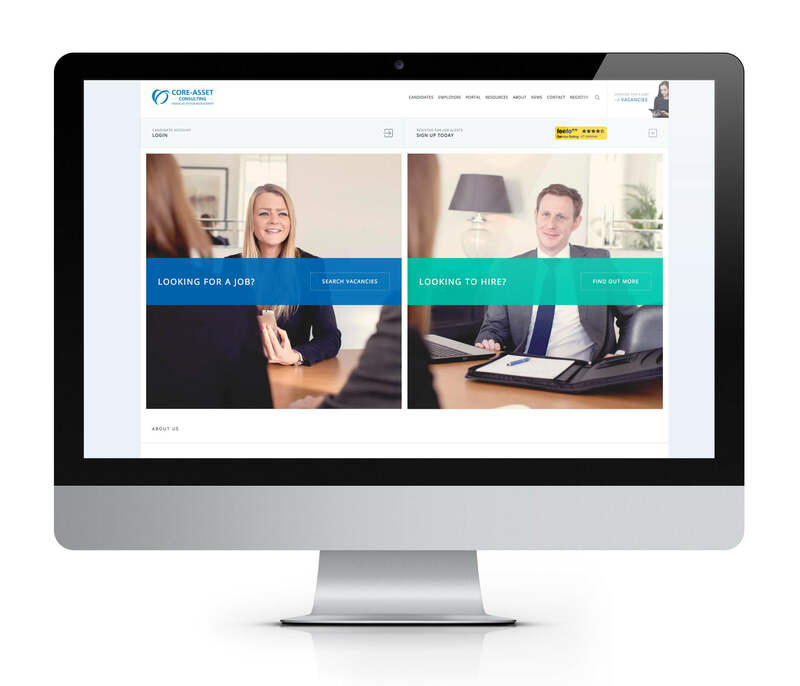 For this bespoke website there were 270 coding and web development hours. Here is an outline of the development work involved. We then have to develop functionality within the CMS that will enable the business owner to easily change and add elements to the website. Change the images and call to action messages on the home page area. Add new vacancies and classify them. Custom develop the job application form so that it passes the application details into the CRM and send the information to client’s staff. Typically you will have no website maintenance costs with Shopify or a website builders. However that’s not to say you don’t have to pay money to a web developer to make changes or regularly back files or fix issues. However you will need to pay a web developer for maintenance support if you use WordPress or Magento. Rates vary from company to company and you will generally pay an hourly rate or set number of hours per month. There is not one answer to how much a website costs to build. Every client and every website is unique with different needs and business goals. 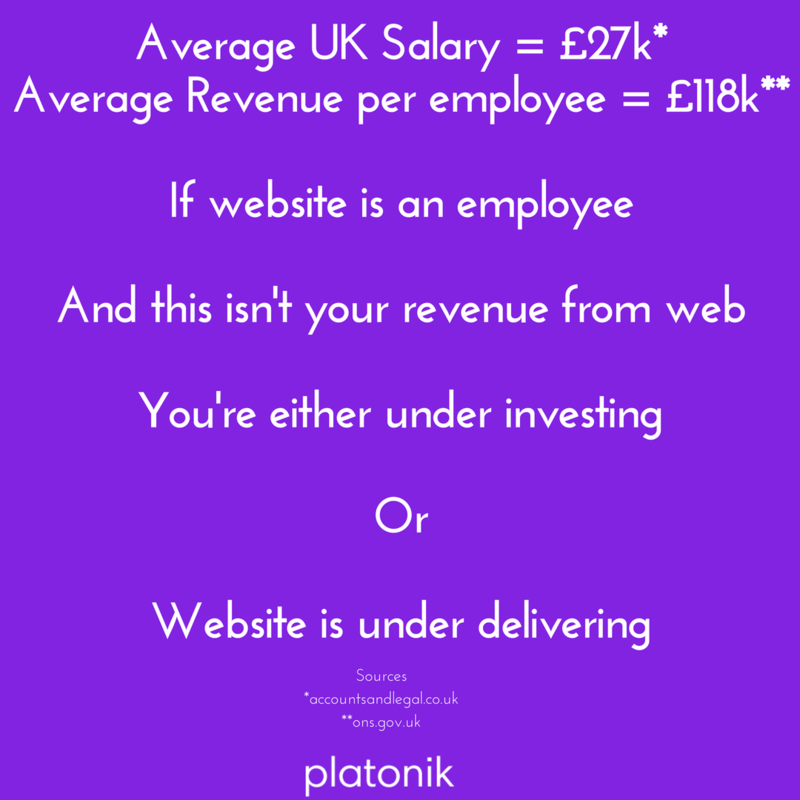 Platonik charge £90 per hour and website projects vary from 100 to 650 hours. Platonik provide a website and content planning service for agencies and clients so they can get more traffic from Google. Copyright © Created by Platonik. Enter your name and email to download this guide to website costs. I consent to useful marketing emails from Platonik.